A 51 year old man with a medical history of liver abnormalities and long standing alcohol abuse presented with generalized weakness, hypoxemic respiratory failure, sputum production, significant hyperbilirubinemia, macrocytic anemia, and laboratory tests consistent with DIC. Chest X ray revealed a bronchopneumonia pattern. Sputum samples were sent for culture and blood cultures were obtained. Urine antigen legionella test was positive for Legionella pneumophila serogroup 1. 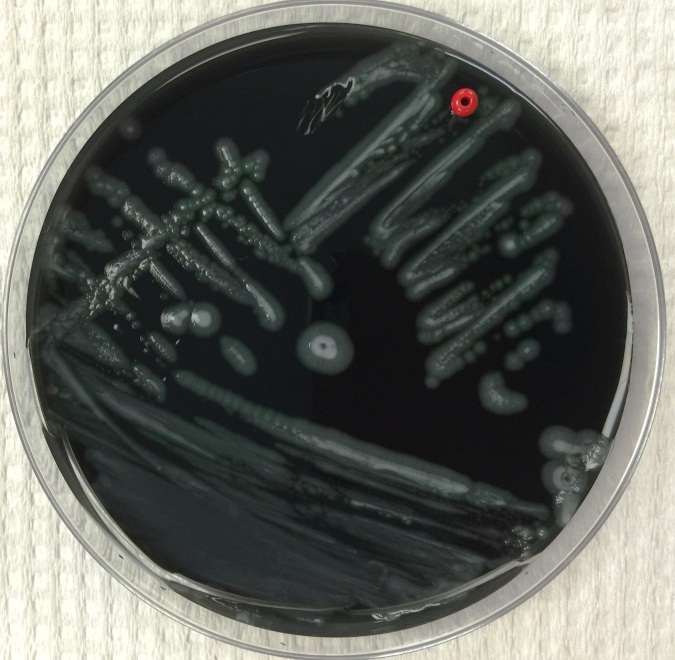 The sputum was then plated on buffered charcoal yeast extract (BCYE) agar. Legionella pneumophila was first identified and recognized during the outbreak that occurred during the American Legion Convention in Philadelphia in 1976. There are over 40 species of Legionella and 18 of those are human pathogens. Among those, L. pneumophila is an important cause of nosocomial and community-acquired pneumonia (CAP) and should be considered in the differential diagnosis in any patient who presents with pneumonia. Two clinical syndromes caused by this microorganism are: Legionnaires’ disease and Pontiac fever (acute, febrile, self-limited illness). 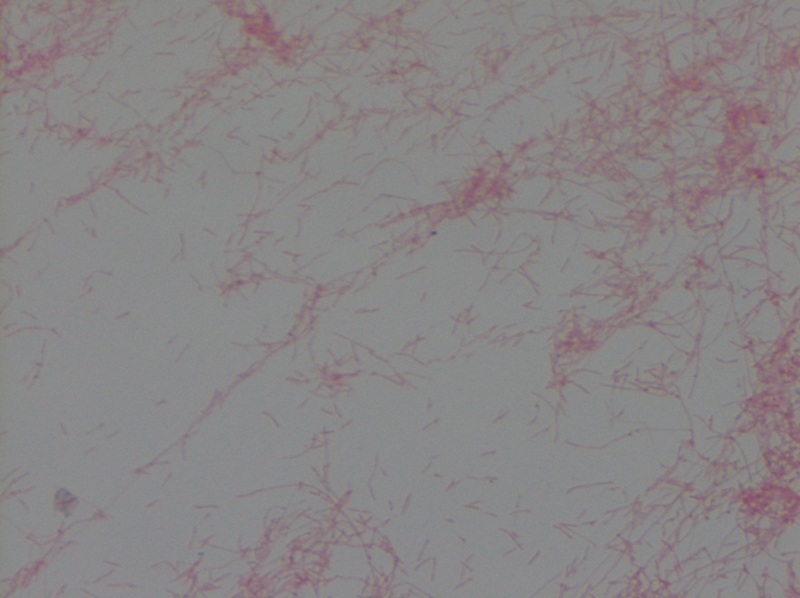 L. pneumophila is a thin faintly staining short to filamentous gram negative rod. Legionella is a fastidious organism and does not grow on standard media. Buffered charcoal yeast extract (BCYE) agar is the primary medium used for its isolation and it is the gold standard for its diagnosis although testing for the antigen in urine is more commonly performed. The urinary antigen assay only detects L. pneumophila serogroup 1 which cause 95-98% of community acquired Legionnaires’ disease. The microorganism is found in natural water supplies and soil. It is also found in recirculating and water supply systems, where it breeds rapidly in favorable conditions (temperature of 35°C, range 25-45, stagnant water and water containing organic debris which can provide nutrients for growth). Macrolides (azithromycin or clarithromycin) or fluoroquinolones (levofloxacin or moxifloxacin) are the standard antibiotic drugs used to treat Legionnaires’ disease in humans. Kossivi Dantey, M.D. is a 4th year anatomic and clinical pathology resident at the University of Vermont Medical Center.